Did your microwave give out on you? It is time to make a major decision. 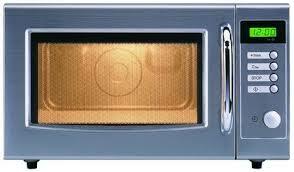 Are you going to throw it away or call us for fast and affordable microwave repair in Wayne, New Jersey? We are a little partial, but we think you should call us. Giving up on your appliance is easy to do. You can kick it to the curb and go out and buy another one. But what if we told you that we might be able to save you mon ey with repair service? Some problems are very small and our experienced techs can fix them very quickly. Before you decide, let Appliance Repair Wayne inspect your unit. We always provide honest microwave service. Our company is out to make a profit, but not at your expense. If there is a problem, we will tell you what it is. Our goal is to fix the unit for less than you would pay for another one. You won’t ever find hidden costs and fees in our invoice. We look over your appliance and give you a straightforward estimate. We say exactly what we can do and do exactly what we say. 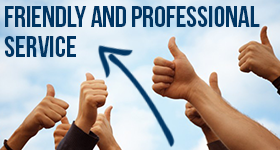 Our experts are dependable, prompt, and detail-oriented. We are focused on providing quality customer satisfaction. You need to take advantage of our budget-friendly microwave repair service. Our specialists will service all makes and models. We stock our service vehicles at the beginning of every day. It is imperative that we carry a huge selection of spare parts for every type of microwave. Remember that our objective is to save you money. We do this by providing service quickly and affordably. We offer the best Wayne microwave repair service. Our techs are trained to take great care of your appliances. Don’t give up on your microwave just because it gave out on you. Give Wayne Appliance Repair a call and we will send an expert to your house on the double.